A journalist in the breakaway republic of Somaliland has been killed by gunmen as he returned home. 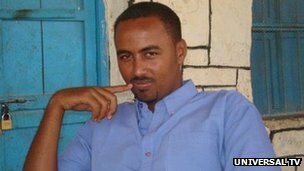 Ahmed Farah Ilyas was a reporter in Las Anod, the main city of the volatile Sool region, for UK-based Somali station Universal TV. Before he was shot, he had been covering the story of a landmine explosion blamed by the authorities on al-Qaeda-aligned Islamist militants. Ilyas is the 16th journalist to be killed in Somalia this year. Since the overthrow of President Siad Barre in 1991, Somalia has seen clan-based warlords, Islamist militants and its neighbours all battling for control of the country. Lebanon’s head of internal intelligence has been killed in a massive car bomb attack in central Beirut. Wissam al-Hassan was among eight people who died in the attack. He was close to opposition leader Saad Hariri, a leading critic of the government in neighbouring Syria. 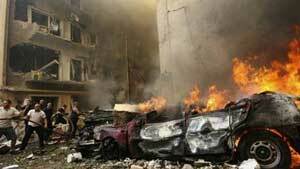 Dozens were wounded in the blast, which Mr Hariri blamed on Damascus. Syria’s government condemned the bombing. Tension in Lebanon has been rising as a result of the Syrian conflict. Lebanon’s religious communities are divided between those who support the government of Syrian President Bashar al-Assad – including many Shias – and those mostly from the Sunni community who back the rebels. Mr Hassan, the head of intelligence of Lebanon’s internal security forces, was regarded as an opponent of Syria. He led an investigation that implicated Damascus in the 2005 bombing that killed Mr Hariri’s father, former Prime Minister Rafik Hariri. Russia’s President Vladimir Putin and Prime Minister Dmitry Medvedev have said they will work from home more to cut the disruption caused by their motorcades in Moscow. 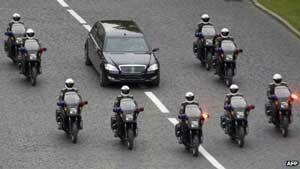 Every time top officials travel across town police close the roads, forcing drivers to wait in long traffic jams. Recently, motorists in the capital have begun to show their displeasure by honking their horns. The president and PM will now try to work at home or travel by helicopter. Dmitry Peskov, a spokesman for Mr Putin, told the Interfax new service: “The president is minimising his meetings in the Kremlin and is preferring to hold them in [his residence in] Ogaryovo to avoid disturbing Muscovites. The number of people being trafficked into the UK is rising, latest government estimates suggest. Last year the authorities learned of 946 victims, compared with 710 in 2010, the inter-departmental ministerial group on human trafficking said. Trafficking gangs in China, Vietnam, Nigeria and eastern Europe now pose the biggest threat to the UK , it said. The government said better co-ordination between its departments and with authorities abroad was key. But anti-slavery groups warned government “failures” had led to “significant steps back” in the fight. There is currently no official figure for the number of victims trafficked into the country each year. However, the report said 712 adult victims and 234 child victims were reported last year to the National Referral Mechanism, the official body that identifies and looks after those caught up in trafficking. 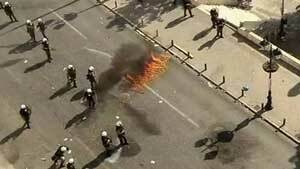 A general strike is under way in Greece in protest against the next round of spending cuts, required in return for another bailout instalment. It is the country’s 20th national stoppage since the debt crisis erupted two years ago and comes as EU leaders meet in Brussels. Taxi drivers, ferry workers, doctors, teachers and air traffic controllers are among those taking part.A small stand-off between police and demonstrators in Athens has ended. Syntagma Square has now reopened to traffic; it was quite a small protest as Greek protests go and was mainly peaceful, says the BBC’s Mark Lowen in Athens. Protesters threw petrol bombs and stones at police blocking off parts of the capital’s main square before parliament, and police responded with tear gas. A 65-year-old man suffered a fatal heart attack during the demonstration, which was said not to be linked to the protests. But local media are reporting that he was tear-gassed, our correspondent says. Thousands of protesters gathered for rallies ahead of two separate demonstrations in central Athens, amid a heavy police presence. Other protests were also planned across the country.